부다페스트 - 부다페스트에 있는 호스텔. 부다페스트의 지도, 부다페스트에 위치한 호스텔 사진 및 후기 정보. 부다페스트에 호스텔, 저렴한 호텔, 아파트, 게스트 하우스, B & B를 찾고 계십니까? 부다페스트의 모든 최고의 가격은 kr.Dorms.com안에 있습니다. 매달 수천명의 여행자들이 이곳에서 예약을 진행하시듯이 고객님도 부다페스트의 저렴한 가격에의 호스텔을 안전하게 예약하실 수 있습니다. 웹사이트에 고객님이 원하시는 핫 트렌디 시내 주변의 호스텔을 쉽게 찾을 수 있으며, 대학가, 기차역, 공항, 모든 부다페스트의 관광명소에서 가까운 호스텔을 찾을 수 있습니다. 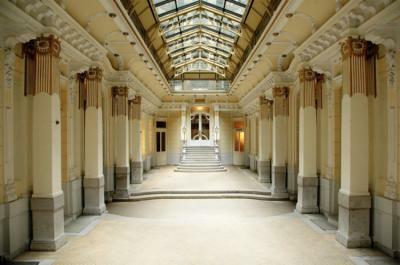 Hungarian National Museum is an 11-minute walk from Hostel One Basilica, while Buda Castle is 1.2 km away. 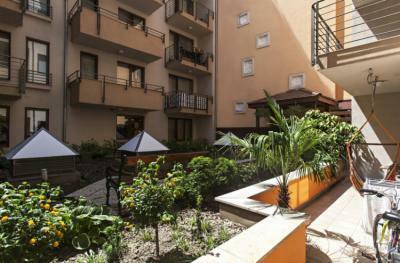 The nearest airport is Budapest Liszt Ferenc Airport, 17 km from the accommodation. 이 지역에는 중세 시대의 작은 거리가 있으며, 다양한 문화, 멋진 레스토랑, 전통 커피 하우스, 바를 제공합니다. 도시의 관광 명소 대부분은 도보로 15 분 이내의 거리에 있으며, 부다 (Buda) 지역의 성 지역과 유명한 폐허가있는 술집도 있습니다. 열탕, 지하 동굴 투어, 도시 자전거 타기, 와인 시음, 다뉴브 크루즈 .. 가능합니다. Awesome people. Great parties. Clean and quiet rooms (ikr), and super duper friendly staff. Enjoyed every bit of my stay. 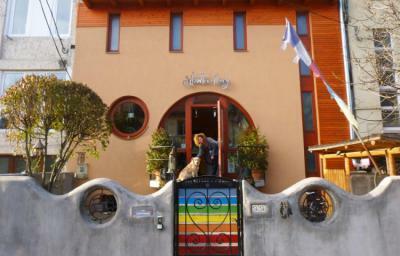 I love this hostel and I will come back! The staff were awesome, and so are the activities they prepare. They serve free dinner, and its a tasty one! Rooms are spacious and real clean. Price is right. We booked a twin room and they put us into a huge 19th century apartment! Fantastic! In addition to that, the staff is very helpful and friendly. I liked your kitchen! toasted and coffee machine so genuisly! and free tea and coffee. I liked your family! Only stayed here one night. It was good-- I slept well and the bathrooms were clean. The hostel is in a beautiful building and the accommodation is relatively characterful, although there is not a lot of atmosphere. It&apos;s close to a bus stop, although this advantage is cancelled out by the inaccurate and unhelpful directions (see below). It&apos;s in a nice area (but that applies to most of Budapest). • 도보 거리에있는 대부분의 도시 명소. - 오페라 하우스, 성 스테판 대성당, 위대한 유대인 회당 • 옆집 24 시간 슈퍼 시장. 저희 호스텔은 부다페스트의 사적지와 인상적인 관광 명소를 위해 찾아온 여행자들이 대중교통과도 연결성이 매우 좋도록 녹음이 어우러진 예쁜 주택지구의 조용한 거리 한 켠에 위치하고 있습니다. 호스텔은 시티 센터까지 보도로 25분, 또는 24시간 운행되는 대중교통을 이용하면 10분 정도 소요됩니다. 우리 호스텔은 시내 중심가에서 일어나 싼 가격에 당신이 필요로하는 모든 것을 찾을 수있는 곳입니다. 이 외에도 대중 교통은 우리 주변에서 매우 편리합니다. 어딘가에 가고 싶을 때마다 매우 쉽게 접근 할 수 있습니다. 플러스 트램 6 호선은 우리와 도보로 5 분 거리에 있으므로 하드 파티 후에도 언제든지 집에 올 수 있습니다. I found this hostel to be spacious. It was easy to connect with other backpackers and the staff was friendly. 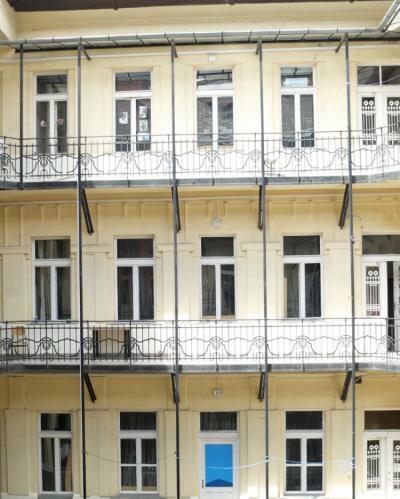 Hostel in Budapest close to public transportation. I felt safe to stay there and I met many backpackers like me. 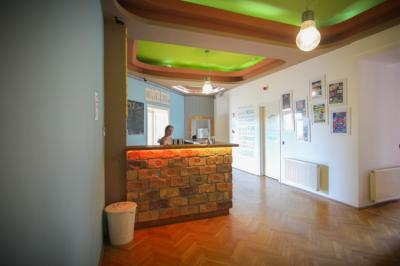 This hostel in Budapest is clean and cheap. The rooms are big and staff helpful. Our hostel is 2 minutes from the all day running tram line 4 and 6, and 5 minutes from M3 (Blue) Metro line so all the main sightseeing can be reached in around 30-40 minutes. We are in the same building as Parapark, the first room escape game in the galaxy and a brand new pub / meeting point will open soon also in the same building. 당신이 거리로 나 가면서 헝가리의 첫 번째 통치자의 이름을 딴 세인트 스티븐 대성당의 돔을 볼 수 있습니다 :) 현대적이고 안전한 브로드 웨이 호스텔은 홈 시네마, 주방, 세탁실, 편안한 좌석 24 시간 리셉션에서 다양한 프로그램을 이용할 수 있습니다. 인근에는 여러 개의 레스토랑, 바, 술집 및 나이트 클럽이 있습니다. Las habitaciones estaban muy bien, aunque entraba mucha luz. Pero los baños olían fatal, estaban sucios y no parecía que los limpiasen. En cuanto a la ubicación, estaba perdido del mundo aunque con buenas conexiones. Creemos que el edificio de en frente era un comedor social. The location and the safe.